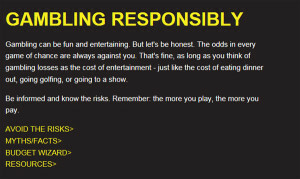 The 1-800 Betts Off website has information to help problem gamblers. The Iowa Department of Public Health’s annual report on problem gambling treatment is showing continued success. Eric Preuss is the program manager for the Office of Problem Gambling Treatment and Prevention. “What we’re finding of those folks who are being involved in treatment and successfully completed treatment, they are seeing a reduction in the number of days gambled over the past 30, and we’re also seeing better employment rates,” Preuss says. The report and analysis, which were compiled by the University of Northern Iowa Center for Social and Behavioral Research, found 92 percent of those treated reported reduced signs of problem gambling. All of the services are outpatient, but he says they have a number of ways to work with individuals. “Whether it would be the use of e-therapy services or distance-treatment services. Where an individual might for example, be commuting across the state or have a job that takes them away from their home environment for a period of time. Where they can connect to groups and to individual appointments via phone or via other secure technology,” according to Preuss. Preuss says there trying to educate people more about the resources available. “Ninety-percent of Iowans are very familiar with BETTS OFF, they know it is available, they know help is available through BETTS OFF, but 44 percent of Iowans did not know that the department offered assistance for individuals within the state of Iowa to actually get treatment,” Preuss says. He says they want people to know that treatment is successful. “By getting the report out we’re hoping that number one — that they can see that we’re having a lot of folks who are having a lot of success with gambling treatment. That they are meting their recovery goals and they are able to live their lives in a way that’s not burdened by the gambling behavior,” Preuss says. 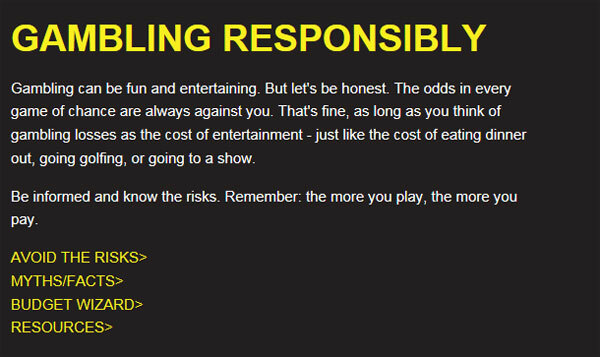 You can see the gambling treatment report on the Iowa Department of Public Health website at: www.idph.state.ia.us. To learn about treatment options or to speak with someone about problem gambling concerns, visit www.1800BETSOFF.org or call 1-800-BETS-OFF.